and send us "a photo image of your right hand." we need a clear image of your RIGHT hand in a real size. Please read carefully the following instructions and send it to us. stretch your fingers and slightly open them - and put the ruler beside it. (Because we will output it in real size by resizing the image, it must have the ruler next to it. Make sure that the tips of all fingers and wrists are seen. 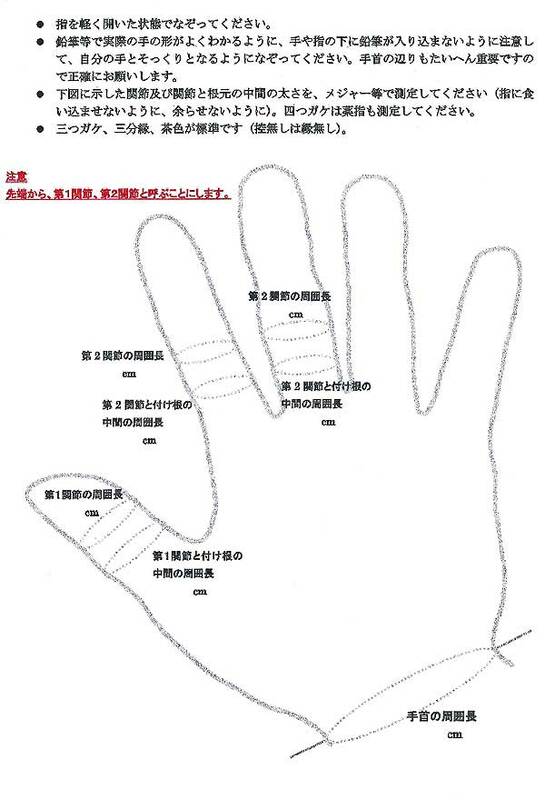 You do not need to send a drawing of the outline of your hand. It is not accurate. 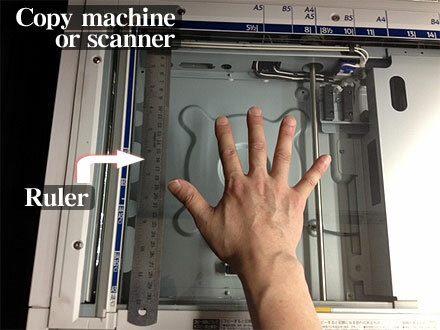 As we see the image, we will choose the correct size of the Kake for your hand. * Please do NOT send an image by FAX!